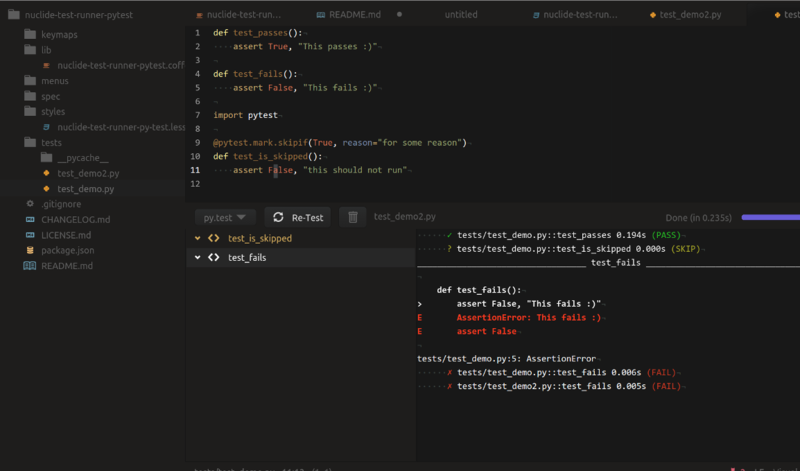 This is a py.test test runner plugin for Atom. This plugin cannot run on its own. It is a test runner service provider for Nuclide IDE’s Test Runner. You do not need other nuclide packages. The shipped ANSI highlighting of nuclide test runner has bugs.